Donation: Donations for Passover may be be sent to www.oxfordchabad.org/donate - thank you! Chabad Society will be serving Pesach meals throughout the festival. To book, please fill out the form - click here . 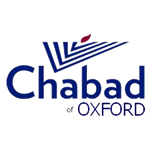 Chabad of Oxford offers a Kosher-for-Passover shop at the Slager Jewish student centre, 61 George St and Chabad House, 75 Cowley Rd, Oxford, where you can find a variety of Passover foods, including wine, grape juice, Matza, Matza meal, cake and much more. A full list of foods can be found here . To sell your Chametz online to fulfil the Mitzvah not to own Chametz (leavened food) during Passover, please click here . Wishing you a happy Passover!